For larger systems, we offer the Sequence Primer series. With an oversized, integrated basket strainer, this unit is also self priming. The high efficiency enclosed impellers ensure low cost, high flow performance for many years. 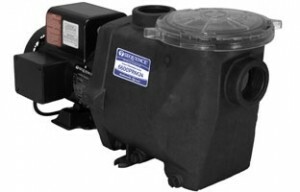 All Sequence Primer pumps come with BALDOR motor, 8-foot cord with 115V molded plug and stainless steel hardware. All Sequence Primer pumps are covered by there 3 Year Warranty. The Sequence Primer can be wired by a licensed electrician for 115V or 230V.